Barbecue sauces are usually loaded with salt and sugar, so I’d largely given up on ever eating them or using them in cooking again. But I was happily surprised recently to find a low-sodium, low-sugar, fat-free barbecue sauce at Whole Foods. The product is called LocalFolks Foods honey Bar-Bee-Q. I’ll forgive the cutsy name because this product finally allows me to use barbecue sauce again. I added some to chicken breasts recently to finally give them some flavor. To date, the only way I’d found to do that was by using my home-made, low-salt tomato sauce. This sauce has 0 fat, 35 mgs of sodium and 4 grams of sugar per ounce. I found an ounce is two tablespoons. 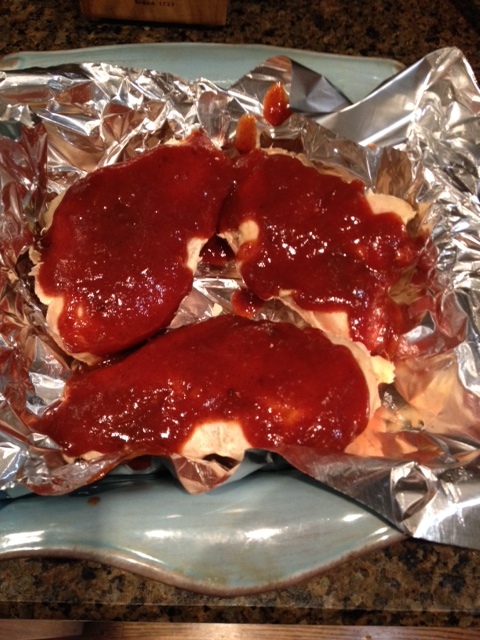 It took about two ounces to coat one chicken breast, so I was having 70 mgs of sodium and 8 grams of sugar with that. The sugar may be high for diabetics, I’d consult with a doctor on that. But the sodium is well within my tolerance range on my way to my daily 1,200 mgs. 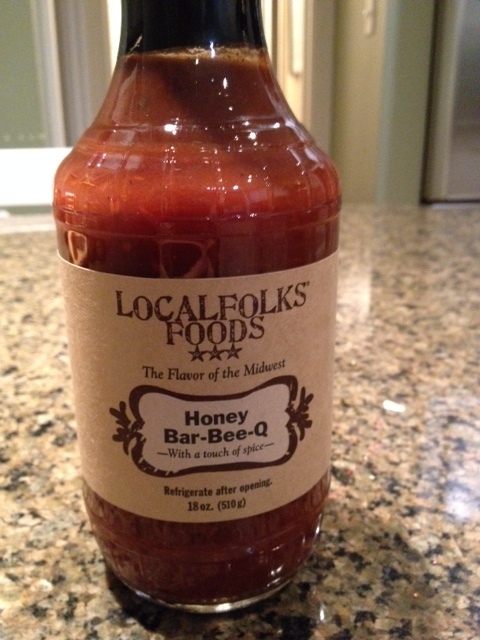 LocalFolks honey barbecue sauce is low sodium and low sugar, I enjoyed it. The taste was not as sweet as many barbecue sauces, the lack of sugar shows as does the lack of salt. But it was better than nothing and did have a bit of honey taste to it. It certainly made the chicken more tasty than it would have been plain. 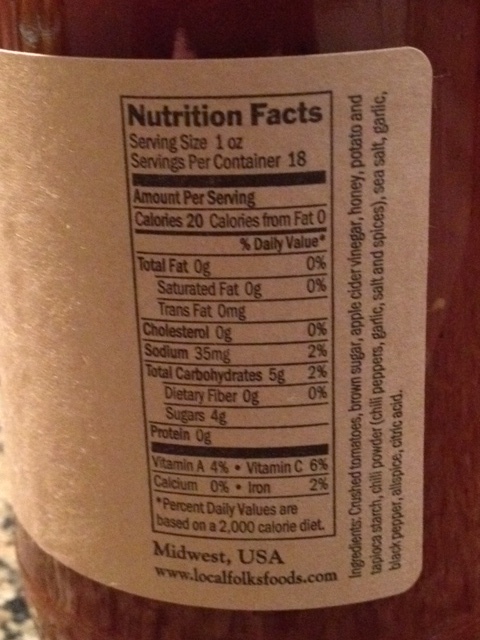 Nutrition info for LocalFolks barbecue sauce. This item will definitely become part of my low-salt ingredients list from now on, thanks Localfolks! I’m interested in seeing the sodium levels on some of your other products to see if I can eat those as well.